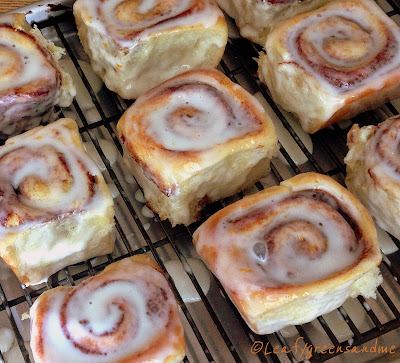 My cravings for Cinnamon Rolls started two weeks ago when my daughter-in-law posted a photo on Instagram of her homemade cinnamon buns. I immediately liked the photo and commented that I wanted the recipe. When she emailed me the recipe she said..."have fun with this one!" The recipe she sent me was not Vegan and was basically like making a brioche dough with butter, egg yokes and whole milk. 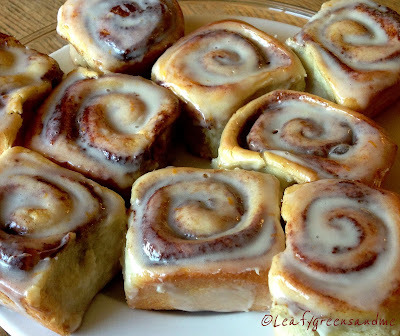 But I was up for the challenge and for the past two weeks all I have been thinking about is making these darn buns! 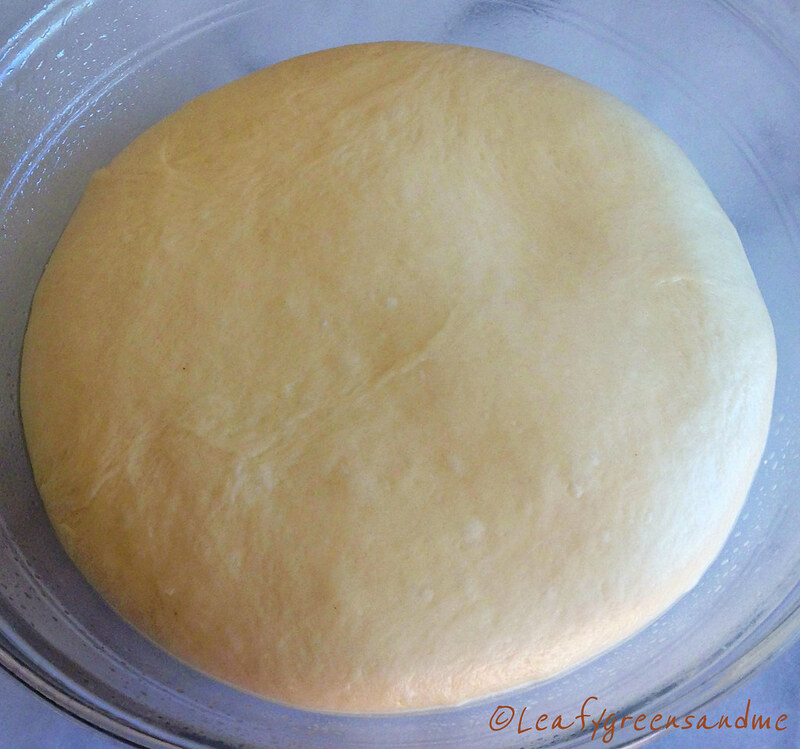 If you're in a hurry to make any yeast dough, you might think about making something else. These cinnamon rolls take about five hours from start to finish. If you want them for a mid-morning breakfast, then I recommend that you start the dough in the evening, let them go through the first rise, punch down, cover and place in the refrigerator overnight. In the morning you can then finish the rolls and bake them off. I started these at 6am (I'm an early riser) and they were ready at 11am. My husband slept in until 10am and he was surprised that they weren't ready. But YUMMY things come to those who wait and have patience! When kneading the dough you want to keep in mind that you are not making bread and you do not want to develop the gluten. You want the dough to be soft, glossy and smooth and the finished buns to be light, fluffy and tender. I kneaded my dough for about 5-7 minutes in my Kitchen Aid mixer--just enough for the dough to pull away from the sides of the bowl. I also added just enough flour so that I could handle the dough without it being too sticky. I added about 3 1/3 cups of flour but you may need to add more or less during the mixing-kneading process. Place warm water and yeast in a small bowl and mix together. Let sit for 10 minutes until it starts to bubble. In a small sauce pan, heat butter until melted, remove from heat and add 1 cup of cashew cream, 1/3 cup of sugar, whisk together and set aside. In the bowl of a kitchen-aid mixer, place 3 cups of flour and 1 tsp kosher salt and whisk together. Create a well in the center and add butter/milk mixture, along with water/yeast mixture. Stir together with a spatula and then start mixing with the dough hook on medium speed. Add enough flour (I added about 1/3 cup) extra flour so that the dough pulled away from the side of the pan and when you touch the dough it is not sticky and it can be handled easily. Again, I kneaded my dough for about 7 minutes, you may need more or less. Lightly oil a medium sized bowl and place dough in the bowl and cover with plastic wrap. Let rise for about two hours until doubled in size. If your house is warm, it will rise quicker. Lightly punch down the dough and place on a lightly floured work surface and roll out to a 12-16 rectangle. Sprinkle cinnamon sugar mixture evenly over dough, leaving a 1/2" border and roll the dough up tightly, moistening the end with water and sealing the roll. 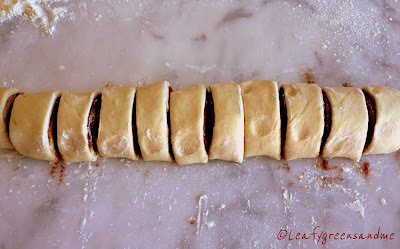 Place the seam side down and dust roll lightly with flour, along dusting a sharp knife with flour for every cut. Cut the dough in half and then cut each half in half so that you have four equal pieces. Cut each of these four pieces into three pieces so that you have 12 pieces. Butter a 9x12 pan and place the cut side up. Cover with plastic wrap and let rise for another 1-1/2 - 2 hours. Preheat oven to 350 degrees and adjust the baking rack to the center of the oven. Bake rolls for 25-30 minutes until golden brown, turning half way-through the cooking process. Remove from the oven and turn out onto a cooling rack and let cool 10 minutes before separating and drizzling with icing. While the rolls are baking, make the icing in a mixer and chill in the refrigerator until ready to use. My husband and I ate quite a few of these today and we felt so guilty that we went for a long hike in the mountains. We still have about seven left on the kitchen counter and they are screaming at us...Eat Me! But we are being strong and the remaining rolls are going to work with me tomorrow for others to enjoy! I hope that you enjoy them too!